I have a love/hate relationship with March. I love that it is getting warmer and smelling like summer. I can opening the windows without freezing and air the house. But March also brings pollen. Okay. I hate pollen. It turns everything yellow in seconds. I never had to deal with it this bad until we moved to Charleston, but it is bad. So yeah, there is a drawback to having the windows open because the inside of the house will turn yellow! The past two years I have gotten my calendar from http://www.gettymusic.com and each year has different pictures taken by Kristyn Getty’s dad, Gilbert Lennox. He is an amazing photographer! 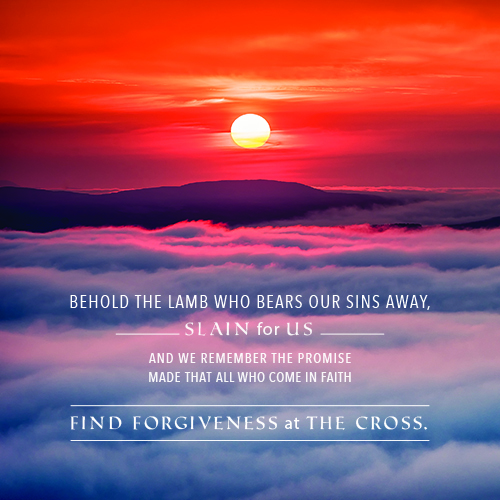 I love March’s photo entitled “Inishowen Sunset” featuring lyric from “The Communion Hymn (Behold the Lamb)”. You can see it and features here.